Following Austin Kleon’s example I thought it would be interesting to make a small list of books that I loved reading in 2013. Especially since I was glued to my e-reader throughout the Holiday period and probably set some kind of personal record by reading 7 books in one month. I have noticed that I really only read non-fiction, but because it’s mostly serious and sometimes depressing I try to sprinkle in some easy-reading and art books as well. One of my favorite social media sites has become Goodreads – it is not very known or popular (perhaps because reading is not “cool” any more? ), nevertheless it’s a great way to keep track of your reading experience, to get recommendations and find new books. You can skim through other users’ reviews to get a better idea of what you want to read or not. You can also set yearly goals and mark your progress as you go for each book. It’s a great site that helped me get back into reading regularly and I wish more people used it; so go on, sign up and add me as a friend! 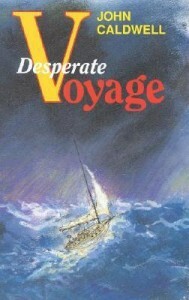 Desperate Voyage by John Caldwell: While sailing I love to read all the based-on-true-story shipwreck tales I can get my hands on. This one was the most epic of them all. High Sobriety by Jill Sark: Found out about this in-depth research on our relationship with alcohol through a book club TV show. When three out of five partakers admitted they hadn’t had a drink since finishing the book I knew I had to read it. 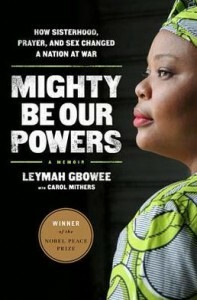 Mighty Be Our Powers by Leymah Gbowee: I saw Leymah give a talk in Sydney and she truly inspired me. This is a story of a woman who stopped the war in Liberia. 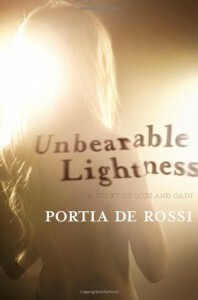 Unbearable Lightness by Portia de Rossi: I didn’t know much about Portia de Rossi before, in this book she lays out all the ugly details of the madness that consumed her in form of an eating disorder. A powerful insight into the mind of an illness so prevalent today. 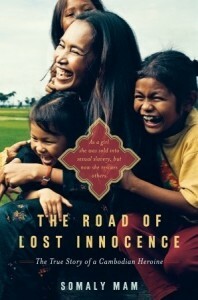 The Road of Lost Innocence by Somaly Mam: I could not describe this story in one sentence, all I can say is that everyone should read this book. Here is my full review of it. 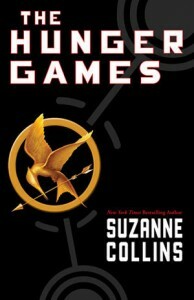 The Hunger Games by Suzanne Collins: I can’t believe I had to watch the movie twice before realizing that I really needed to read these books!